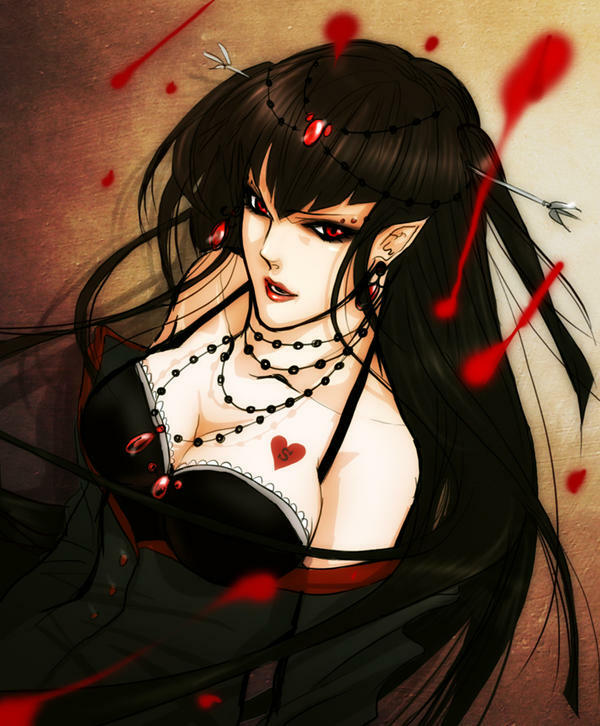 SilveusSnape aka Vampire Queen Silveus Lightwood-Bane is a 24 year old (DOB: October 31, 1994) pure-blood witch living in District 12?. She wields a 11¼" Yew, Dragon Heartstring wand, and is a member of the unsorted masses of Hogwarts students just off the train eagerly crowding around the Sorting Hat. Her favorite Harry Potter book is Harry Potter and the Half-Blood Prince and her favorite Harry Potter character is Magnus Bane. Patronus: How can one of the evil nature produce a patronus? Lover: Can you handle her? Weapons: Daggers, Knives, Swords, Bow and Arrows, Axes, Poisons, Spears, Wands Favourtie weapon list below, you know, if you care. Note: I do not carry all of these around, obviously.